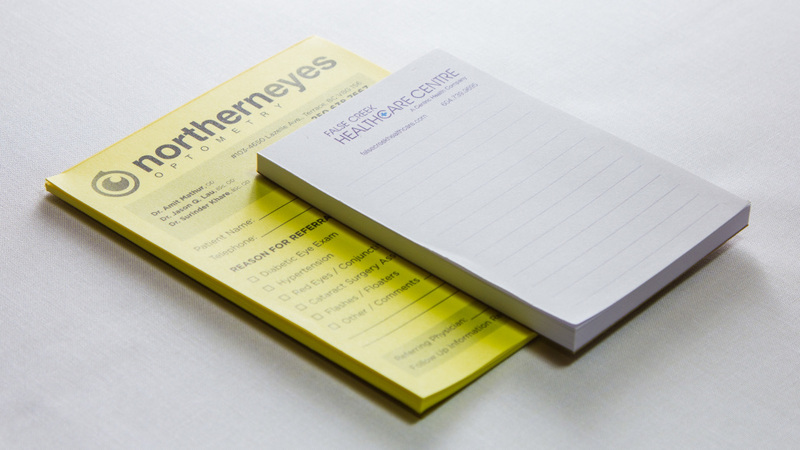 Notepads are a great marketing tool. They are an inexpensive and useful keepsake that serve as an effective promotional tool to keep your company fresh in your customers memory. 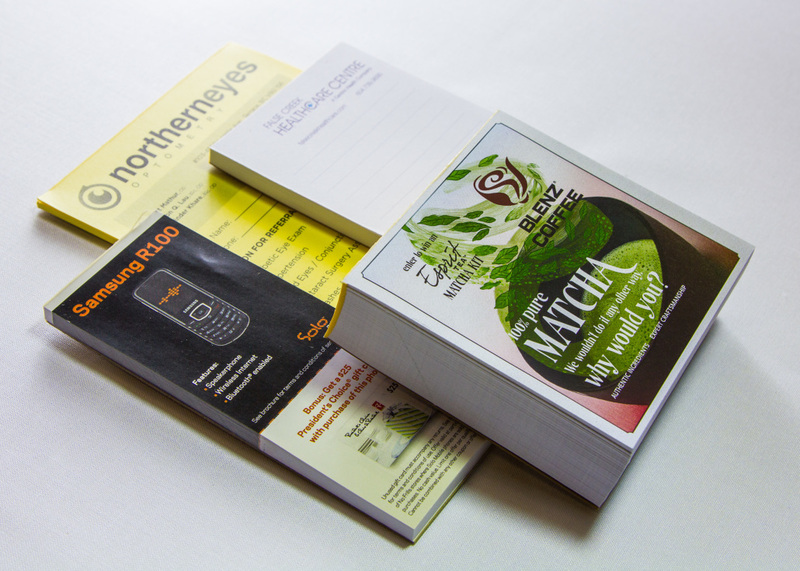 Our notepads are printed on 70# FSC Certified paper and come with a chip board backing for ease of use. Available in full colour and in a variety of sizes.